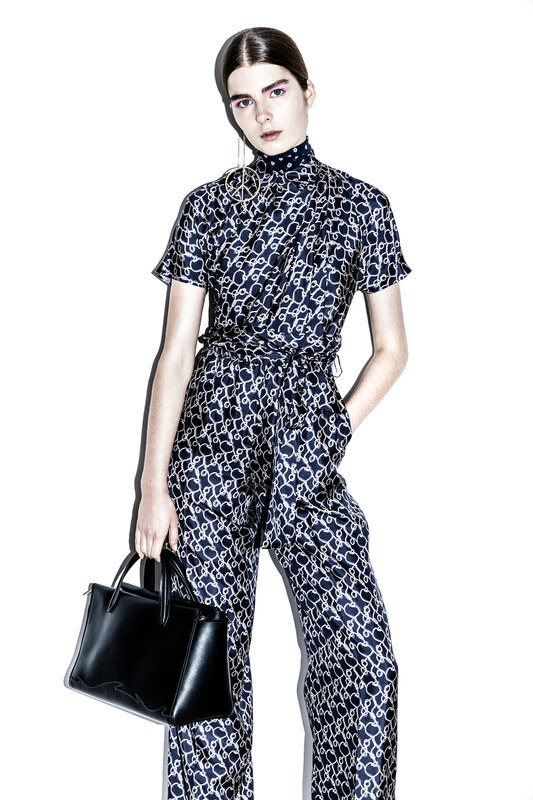 I've always cottoned to Phillip Lim, with his varied assortment of engaging and sometimes quirky separates. These are friendly, stylish yet non fussy garments with a constant element of pizzaz. AND the price point remains quite reasonable. No need to hit the mattresses or your 401K to assemble next season's outfits. In the current pre-fall lineup Lim covers much territory in a relatively brief collection, managing to hit the important fashion wear points, with ruffles, high waisted wide legged trousers, minis, and the oh-so ubiquitous slip dress in the mix. 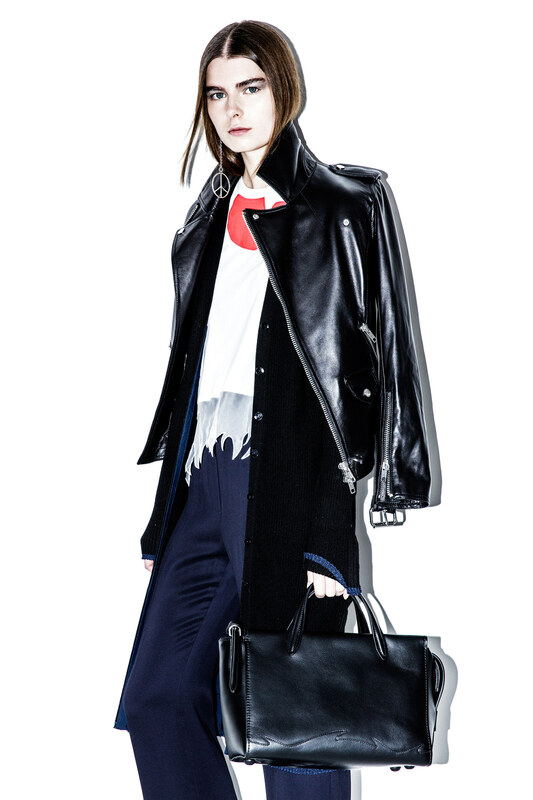 The tried and true staples in the form of the TRENCH and leather MOTO jacket also make an appearance. The requisite neutrals coexist with a lively fall palette including orange and green, with mustard yellow thrown in for good measure. Cottons, woolens, silks, and leathers are conjured into a clever amalgamation of past decades and current obsessions. In essence, the perfect upscale sportswear collection, with something for everyone. And for some low level opulence to glam up the tan trousers? Silver metallic piping in the tuxedo vein. The TRENCH. The perpetual staple. Even during times of draught, perfect for a temperate climate over whatever. Tan is always a good option. For zest appeal? Go LAME. The lame pleated skirt is back. (See GUCCI). 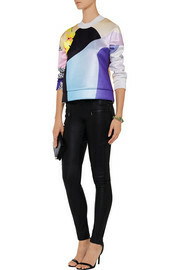 Why not throw a little over-the-top 80's glam into your wardrobe? 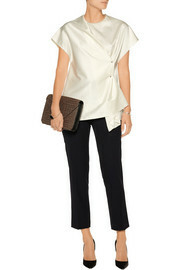 And the mustard silk blouse would certainly liven up your random neutrals. Definitely a pupil dilator. Orange is the Sriracha of the color wheel. Makes everything just a bit better. 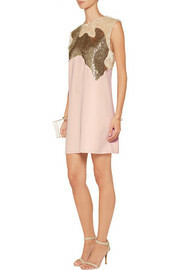 The slip dress has become one of the holy trinity of fashion wear MUST HAVES, along with the trench and the moto jacket. Here, lace is cleverly commingled with ribbed wool. To be paired with boots. The slouchy wide leg leather trouser provides casual glamour versus the rock 'n roll vibe of its slim legged counterpart. Emma Peel Equestrian. Not sure what to make of the peep toes......dubious. Get out the riding boots! 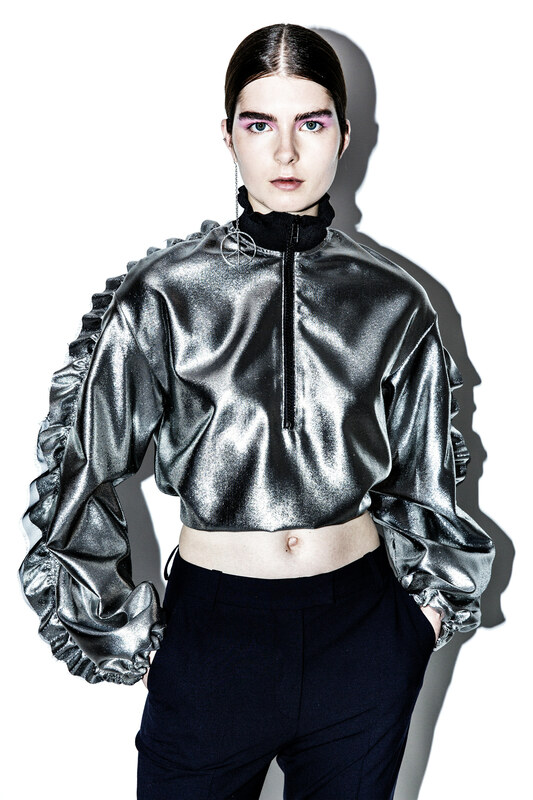 Who says RUFFLES can't be mod, modern, AND alluring? 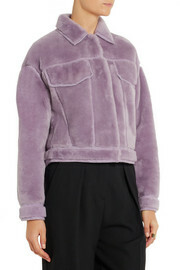 And here, care of NET-A-PORTER are some lovely 3.1 Phillip Lim pieces ON SALE! All hip, cool and wearable!